So here’s the good news – we have personally researched and reviewed every major GRE prep course on the market to make things easier for you! The comparison chart below will help you figure out which one is best for you. Please note that several of the links included below are affiliate links. At no extra cost to you, I may earn a referral commission if you purchase one of the courses below. Please understand that I recommend these courses because I confidently believe they will help you succeed on your GRE exam, not because of the small commission. Only use the links if you have been helped by my review! What’s the Best GRE Prep Course? Intuitive Interface:Magoosh has a very user-friendly online platform. From the dashboard students can view progress charts, recommended lessons based on completed practice questions, and gain quick access to key course features. The course structure is easy to follow too; you can watch video lessons, take customizable practice quizzes, and review GRE course material all from the well-organized dashboard. Price: The Magoosh GRE program is unmatched when it comes to providing quality study material at a discounted price. For just $149 (using this Coupon Code), students have 6 months of access to more than 200 video lessons, 1,000 practice questions, and up to 3 practice exams. With competitors charging hundreds of dollars more, this course is definitely a bargain! Quality Instruction: Their test prep experts have extensive backgrounds in tutoring and GRE subject matter. Each practice problem is accompanied by both written and video explanations to ensure the concepts are fully and clearly explained. Customer Support: Magoosh has a reputation for being prompt and thorough in all responses to students’ questions. A built-in help tab appears whenever students are logged in, making it easy to submit questions immediately as soon as they come up, rather than having to stop what you are doing and going to a different part of the site to send an email or a message. Bottom Line: Magoosh provides the most flexibility and is easily the best overall value of any GRE course. Practice Tests: With 8 full-length adaptive practice tests, The Princeton Review provides more simulated practice than any of the other self-paced GRE prep courses. After each test, students receive feedback and a one-on-one review of the test with their instructor to identify those sections on the GRE that could benefit from more focused study. Course Guarantees: The Princeton Review offers a set of three different guarantees: the Readiness Guarantee, the Satisfaction Guarantee, and the Money Back-Guarantee. Don’t feel ready to take the test at the end of a course? Repeat the same course or take a refresher course. Not satisfied with your result? Continue to work with The Princeton Review for up to a year. Score didn’t improve? Ask for a refund. Essay Feedback: The Princeton Review is the only self-paced GRE course we reviewed that offers feedback on your practice essays. You can submit your essays through the LiveGrader tool, and one of their experts will score your essay and provide you with constructive suggestions for improving your essays. No Quiz Bank: Several competitors have question banks that allow you to create quizzes and focus on specific areas by filtering questions. The Princeton Review has numerous full-length exams (including one free practice test) that can help you identify areas of weakness, as well as more than 3,500 practice questions, but there is no question bank for quizzes to test yourself between full-length practice exams. Bottom Line: Princeton Review is unmatched in terms of their course guarantees and providing feedback on your practice AWA essays. Their course is extremely comprehensive and will prepare you for the GRE as well as Kaplan does, but for significantly less. PAL Approach: examPAL has identified 3 main methods for answering any GRE question: Precise (able to answer outright without considering answer choices); Alternate (using process of elimination by plugging in the answer choices); and Logical (able to use outside information to assess a statement). Each student will be more inclined towards a different approach, and the examPAL system will identify your preferences and tailor lessons accordingly. Flexible and Affordable: examPAL offers 6-week, 6-month, and 1-year plans that range from $189, $299, and $599, respectively (Get Discount). No matter how much time you have to devote to studying, examPAL has a plan that fits your schedule and at a price that won’t break the bank. Admissions Consultancy: The 6-month and 1-year plans include access to a 1-on-1 consultancy session with a professional graduate school admissions counselor. The road to your dream school doesn’t end when you finish your exam, and it is great that examPAL has built-in guidance for taking the next steps on your journey. Extra Services: Each plan comes with credits that are used for practice questions and tests but can be redirected to pay for bonus services. These options include extra essay reviews, private tutoring sessions, and expert assessment of your progress or overall study plan. Fewer Practice Resources: examPAL comes up a bit short in terms of the amount of practice resources available to students. Although you can use credits to purchase extra practice questions or tests, there is still a lack of features such as flashcards and a mobile app, and the standard 1500 practice questions doesn’t compare with other courses that offer up to 5,000. Bottom Line: examPAL offers a great price for top-notch services, a score improvement guarantee, and options to access even more personal resources. If flashcards and a mobile app aren’t necessities for your study plans, you should consider examPAL for your GRE prep. Practice Material: Kaplan offers a lot of practice material, which can help you better recognize GRE question types and improve your test taking ability. Their quiz bank of more than 5,000 GRE practice questions allows you to take customized quizzes and filter which GRE areas you want to focus and improve on. 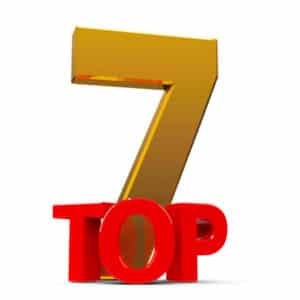 7 full-length practice exams give you ample opportunity to practice your strategies and prepare yourself for the exam. Higher Score Guarantee: Kaplan is confident in their products and will give students an opportunity to retake the course or get a refund if their score does not improve. Make sure you are aware of the conditions of the guarantee, one of which is establishing a baseline GRE score before beginning the course. Flashcard App: The course comes with a flashcard app (for both iOS and Android devices), which can be great for studying on the go. You will have access to 500 flashcards that include vocabulary words, synonyms, definitions, and sample sentences. Quiz yourself, track your own progress, and see performance statistics right from your smartphone. 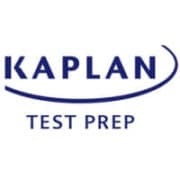 Official Test Day Experience: Unique to Kaplan is the ability to take a practice GRE test in an actual Prometric testing facility. This can truly give you the edge you need to pass by giving you the familiarity and confidence you need to succeed. Expensive Tutoring Options: Although private tutoring is never cheap, if you add tutoring onto a course or choose any of the three tutoring packages, your prep course costs will quickly exceed $1,000, and add up to more than $2,000 if you go with the private tutoring packages of 15, 25 or 35 hours. Bottom Line: Kaplan provides the most comprehensive course offering on the market. If money isn’t an issue, consider Kaplan. Communicate with Real Tutors: Some test prep courses charge huge additional fees for that service, but the Economist GRE program has time messaging with real tutors built into each of its plans. Messaging with tutors is done through their in-app messaging system, and this ability to reach out and contact a real live human is definitely a selling point for this GRE prep program. On top of messaging with tutors, you’ll get up to 6 live one-on-one video tutoring sessions. Practice Material:The Economist GRE prep course offers up to 6 full-length tests, depending upon the plan that you choose. The course also offers 5,000 practice questions and uses adaptive learning technology to help you focus on areas where you may struggle. This personalized learning system is one of the best out there, and the more you use it – the more personalized it becomes. Mobile Friendly: You’ll be able to study on the go with The Economists mobile/tablet friendly interface. It’s a great option for someone that’s always on the move and only has 20 minutes for a quick study session. Just know not all features are available on mobile – like taking practice exams. New to Market: The Economist is the new kid on the block in the GRE test prep space. They’ve managed to create a solid all-around course with a variety of features, but it’s not as seamless of an experience of some of the higher rated courses above. I recommend the Premium plan for most students and the Ultimate plan for someone that will need more tutoring help. Bottom Line: The Economist’s new GRE course is a great, affordable alternative to Kaplan. If you want built-in tutoring services, this is the course for you. 30+ Hours of HD Video by Expert Instructors: You will watch and learn from the masters when you sign up for this course. More than 800 video solutions cover all you ever wanted to know about the mathematical operations and strategies you will need to master in order to crush the quantitative section of the GRE. You can check out a selection of free videos and webinars on their website. Live Tutoring Options: If you need additional, live help while studying you can connect with a personal tutor via Skype or WebEx. Pay for an hour or two individually, or choose a bundled option if you think you could use 10-20 hours of additional personalized tutoring. Money-back Guarantee and $1 Trial: You can’t go wrong with a risk-free trial (for only $1), and Target Test Prep offers both a limited 5-day trial and your money back if you are not satisfied with the course. If your GRE quant score does not go up after you take Target Test Prep’s course, you can apply for a full refund. Only Covers Quantitative Section of GRE: Target Test Prep is a great option for those looking to boost their quantitative scores, but as of now, there is no equivalent review course available for the Verbal sections of the GRE, although private tutors are available to help you with those sections at your request. Bottom Line: If you need help specifically with the Quantitative Section, Target Test Prep is a solid option. Comprehensive Course: Manhattan Prep’s course gives students a number of in-depth materials to study for each area of the exam. Access to more than 27 hours of video lessons, strategy guide books for each area of the exam, the Official Guide to the GRE book, and 6 practice exams make this a well-rounded course with an impressive amount of practice material. Downloadable Video Lessons: Manhattan Prep gives students the ability to study virtually anywhere. Their on-demand video lectures can be streamed live or downloaded to your computer or iPad so that you can study on the go, even if you are in an area without internet access. The high definition videos are easy to follow and taught by expert instructors. Quality Practice Tests: In addition to in-depth lessons and study material, Manhattan provides 6 quality practice tests. They are known for practice questions that are very close to those featured on the actual GRE exam, and some students report that the practice tests are more challenging than the actual test. Each practice test includes a detailed score report and breaks down your performance on areas of the exam. 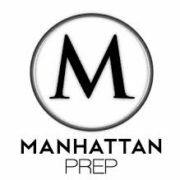 Qualified Instructors:Manhattan Prep is meticulous in selecting their instructors and they are knowledgable in all areas of the GRE. Refund Policy:Manhattan Prep clearly states on their website that all payments are nonrefundable and the company does not provide refunds to students for any reason. Bottom Line: Manhattan Prep provides a comprehensive course that covers all the bases for you to score high. I don’t find it as efficient of a process as the Princeton Review or Kaplan, but if you want a large amount of practice problems, Manhattan Prep is a great option. Their materials are difficult, ensuring you’ll be prepared adequately for the GRE. Video by Expert Instructors: You get amazing video content from GraduateX, as its instructors go through the lessons with amazing patience and clarity to give you the best possible experience. The visuals are perfectly synced with the audio, making for an online classroom session that mimics an in-person class. Mobile Option: If you need to study on the run, this is the perfect option for you. The mobile applications have a number of great features, and you’re going to get the same access to content that a number of higher-priced companies offer. Visual Experience: You’re going to get the best of what the web has to offer with this product, as the visual layout of the course is amazing. GraduateX does a great job in presenting information in a simple manner, but still using advanced design tools to give you exactly what you need to ace the test. Simplicity: There aren’t any amazing features for this product. You’re not going to get any full practice exams, no direct tutoring, no score guarantee, and it’s somewhat lacking in terms of additional content. Bottom Line: GraduateX is a solid, no-frills budget option for someone who studies on the go. There are several viable options for GRE preparation online, including: Magoosh, Kaplan, and Princeton Review. But determining which one is best depends on a number of factors like your budget, your learning style, and your time frame. Check out my full reviews of each course and find the best course for you. Many people narrow their choices down to either Kaplan’s vs. Princeton Review’s GRE courses, as both companies have been around for more than 35 years. Their GRE courses are refined, but the choice between these two depends on your specific needs and your learning style. Kaplan offers 7 practice tests and more practice questions than any other course. Princeton Review offers the most practice tests, which correlates closely with GRE success. They also have the best score guarantees and offer cheaper program options than Kaplan. So unless you need the extra practice problems from Kaplan, I’d recommend going with Princeton Review. You can see my full comparison of Kaplan and The Princeton Review GRE here. When narrowing your choices to Kaplan and Magoosh, it’s important to understand what your personal priorities are. While Kaplan has more study materials than Magoosh, most students don’t utilize all of Kaplan’s course offerings due to time constraints. Magoosh offers more than enough practice materials for most students, while offering better course guarantees, all for a fraction of the cost. You can see my full comparison of Kaplan and Magoosh GRE here. The Magoosh GRE prep app is easily the best on my list, thanks in large part to the fact that Magoosh is geared entirely towards making a slick, accessible, and mobile GRE prep experience. It offers students an option to try it out for free, giving you a taste of its capabilities with 70 free video lessons and 40 free questions complete with video explanations and helpful articles. Upgrade to the premium Magoosh GRE app, however, and you suddenly have access to over 1000 practice questions, 200 video lessons, expert advice, tutorials, and progress tracking. When all of this combines with the natural fit of Magoosh’s intuitive mobile platform, the Magoosh GRE app is the sure bet for studying on the go. Kaplan is one of the highest overall options on my list and its GRE study app is a big reason why. Coupled with the unique Kaplan Qbank app, which allows students to build customizable practice sets based on subject matter or difficulty, the Kaplan app for Android and iOS gives students a great resource for studying on the go. Also included: complete access to all course features, so you don’t miss a thing when studying. Much like the Kaplan GRE app, this GRE app provides students with full access to their course materials on their mobile device or tablet. Whether in the form of GRE vocabulary flashcards, video lessons, practice questions, or support services, the Princeton Review GRE app gives students the ability to take their full complement of resources with them everywhere they go, making it one of the top GRE apps on the market. For just $15, Kaplan flashcards combine two of the most powerful resources students have: easy to handle physical cards that you can organize and carry with you anywhere, and a mobile interface that lets you study your vocabulary on-the-go. With the “flashcards + app” package, students can get access to over 500 frequently tested vocab words complete with: definitions, synonyms, pronunciation guides and sentence examples. Although 500 not an amount that stands out from the crowd, the combination of mobile flashcards and physical GRE flashcards—to go with their built-in QuizBank feature—makes Kaplan my number 1 choice here. Magoosh are the kings of mobile accessibility, and so it’s no surprise that their flashcards come in mobile form. And they bring the most content to the table with over 1,000 GRE flashcards with vocabulary (ranked from common, to basic, to advanced) and math available. They don’t quite take the top spot because they only offer an online version of their flashcards, but they come in a very close second because their flashcards are FREE. Overall, the Kaplan flashcards provide a little more substance but Magoosh GRE flashcards made a great choice for anyone looking to do some quick studying on the mobile device as a supplement to their other study materials. The Princeton Review comes in at third place because, unlike Kaplan and Magoosh, there is no dedicated mobile option for accessing flashcards. Princeton Review flashcard packs offer students access to 500 commonly tested vocabulary words for $13. Much like the Kaplan cards, Princeton Review flashcards offer synonyms, sentence examples, and pronunciation guides. Nonetheless, the lack of mobile access and truly average amount of cards puts keeps the Princeton Review at number 3. Thanks for the review, how do you determine your rankings? To determine our ratings we consult with successful GRE test takers, teachers, aggregate data from around the web, and compare the specific benefits and features of each course as well as testing them out ourselves when we can. We try to do as thorough of reviews as possible and remain unbaised. The goal is to lead exam takers to the review courses that best suit their needs. Hi there. Thanks for the article a great read. I’m looking into prepscholar because they seem to have a solid product. What have you hear about them are they worth it? Thanks! They have a 7+ point increase guarantee which is nice, but I primarily view PrepScholar as an ACT/SAT company who’s just getting their feet wet in the GRE space. I’d go with more established companies like a Magoosh, Kaplan, or Princeton Review. Best of luck! How does the score increase work for Kaplan it seems like a good deal? Great question. You have to submit a baseline score to Kaplan before using their course materials. You then would submit your test score to them if it did not increase or you were unsatisfied with your results. If your score doesn’t increase they will give you a full refund or allow you to retake again with their review materials. It’s a killer deal because unless you succeed you don’t really pay for the course. Additional details are on their site when you buy. Let us know if you have any other questions!